Technorip Innovations, a hardware startup incubated at Maker Village, had a rare chance to interact with global technology experts from after being selected for a programme organised by US. 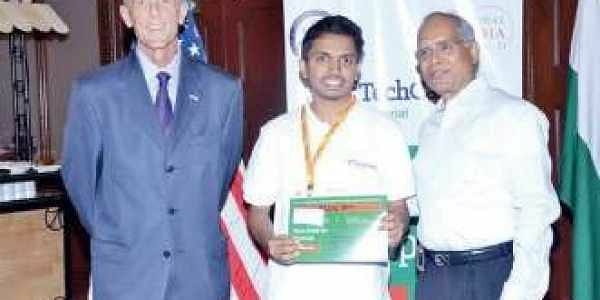 KOCHI: Technorip Innovations, a hardware startup incubated at Maker Village, had a rare chance to interact with global technology experts from after being selected for a prestigious programme organised by the US Department of State for emerging entrepreneurs in South Asia. Terming the workshop “an incredible opportunity” to interact with other social innovators from across south Asia, Arun said he received important inputs from the experts to build his company further. “About 10 industry experts from India and the US spoke at the workshop,” said Arun. TechCamp 2017 was aimed at connecting technology experts from across the globe with budding entrepreneurs to ideate on how technology can be used to solve the most pressing social concerns in South Asia. “The US Department of State has also announced a grant for the participants todevelop a practical, technology-based solution to challenges faced in Southeast Asia,” said Prasad Balakrishnan, CEO of Maker Village.